This flat, 3/32" wide vinyl craft lacing is pliable and thin enough to fit standard size beads, yet strong enough to hold them. Rexlace is great for a wide variety of projects. It is non-toxic, latex free, and non-flammable. 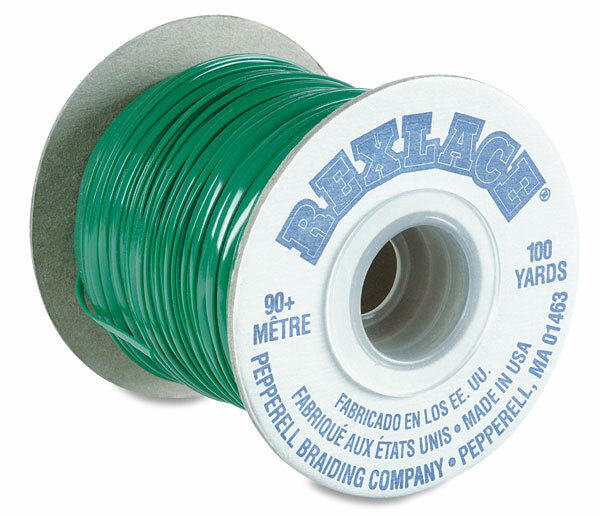 100 yard (91 m) spool.  Rexlace is a trademark of the Pepperell Braiding Company.